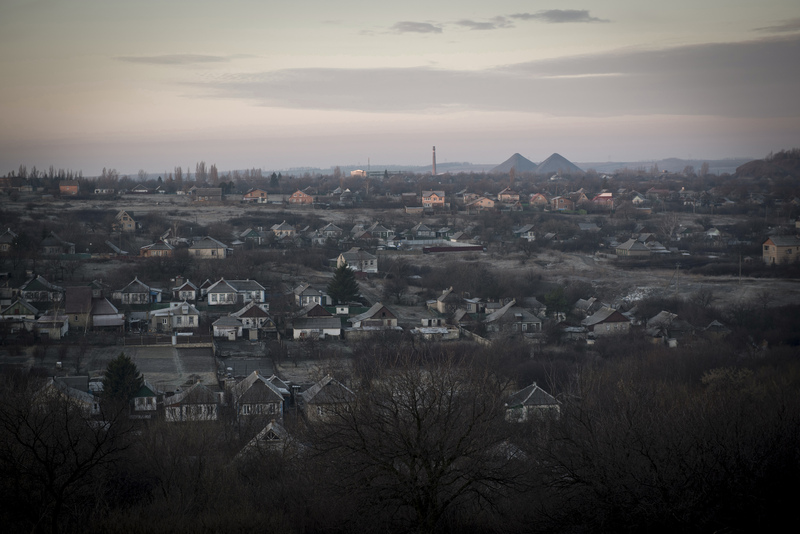 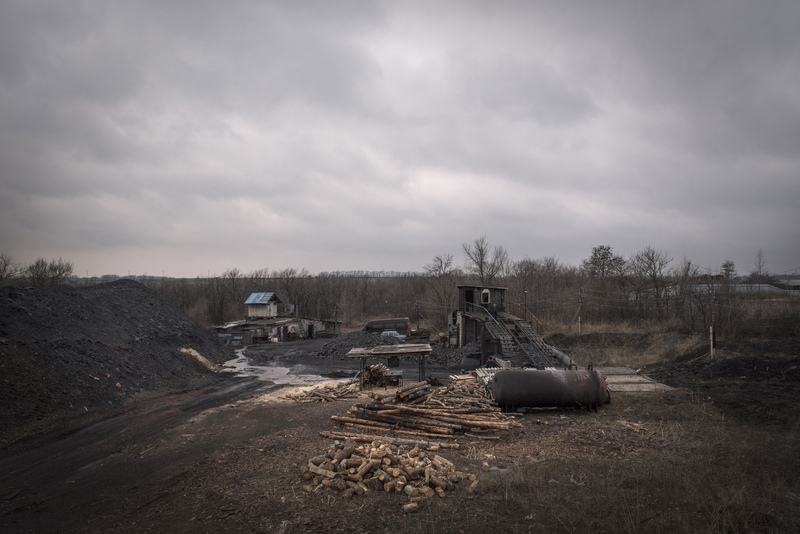 The Donbass conflict between the pro-Russian separatists and the Ukrainian army had its devastating effects also on one of the economical pillars of the region: coal extraction. 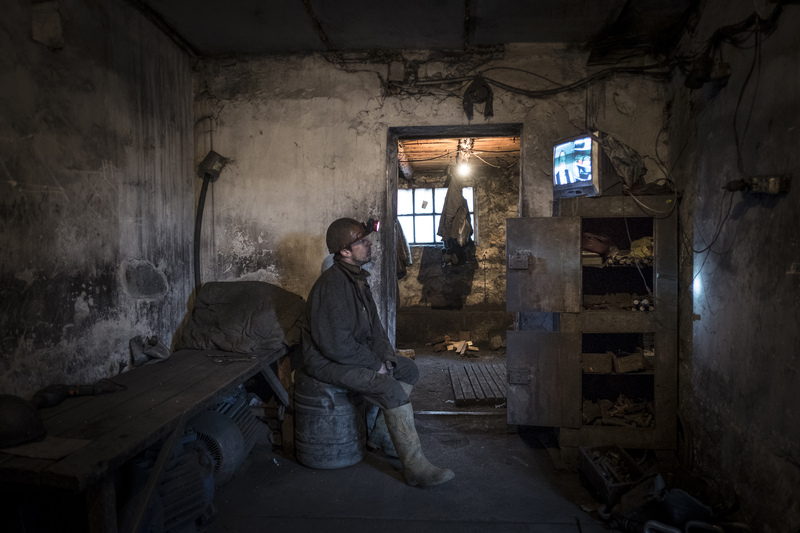 The largest mines are now almost all closed, many have been bombed and several stopped any activity whilst waiting for the nationalization from the separatists authorities. 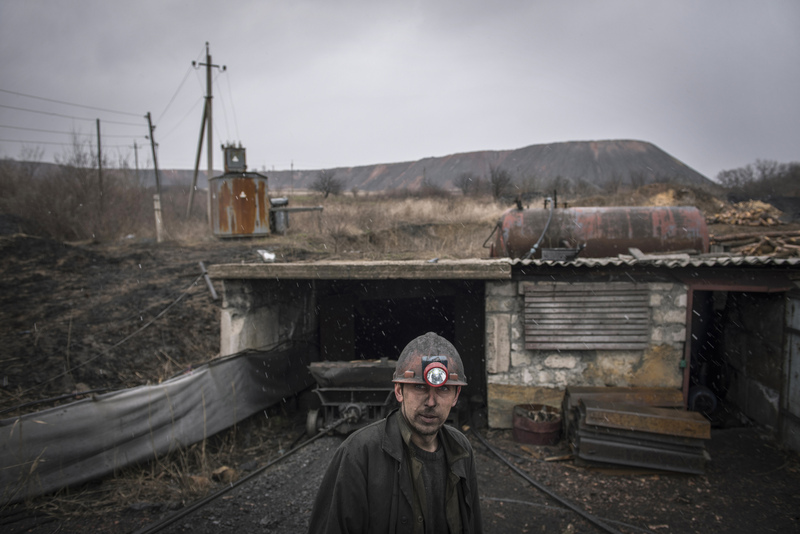 In their place appeared dozens of illegal mines, the so called kopankas, where a day-to-day underground war is fought unknown to western countries. 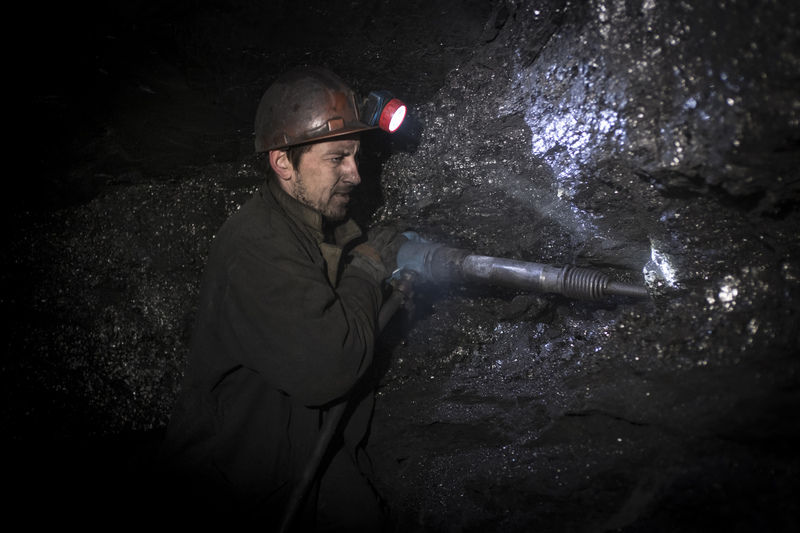 In Ukraine controlling coal equals to controlling power, and this is well-known to the separatists, who are heavily involved into this business also used to finance the military revolution. 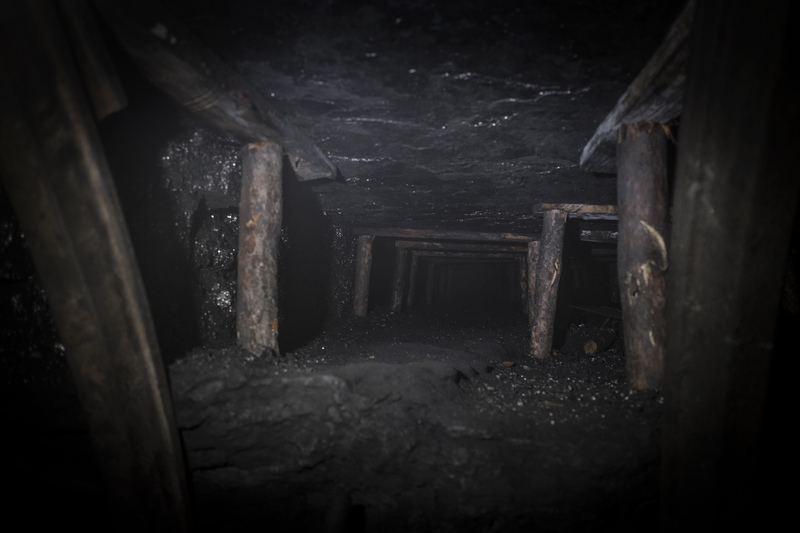 Kopankas are mostly holes in the ground, dug with basic techniques. 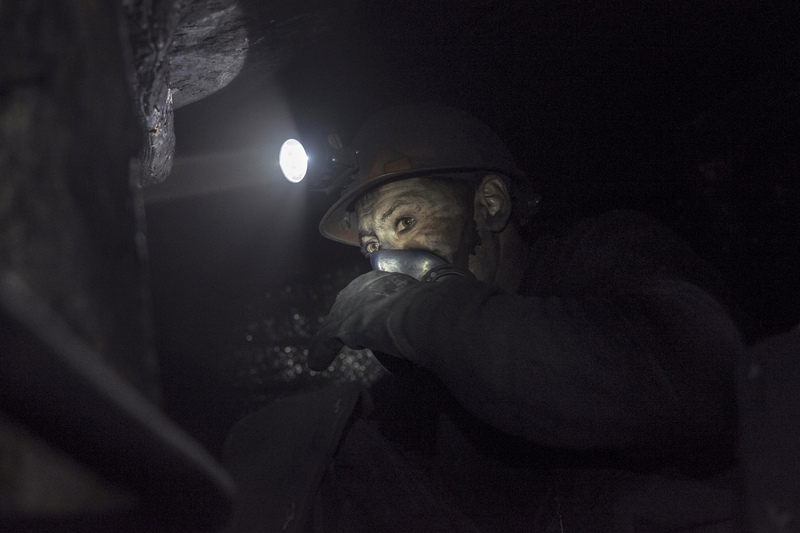 Men will go down up to 200 meters extracting largely by manual methods. 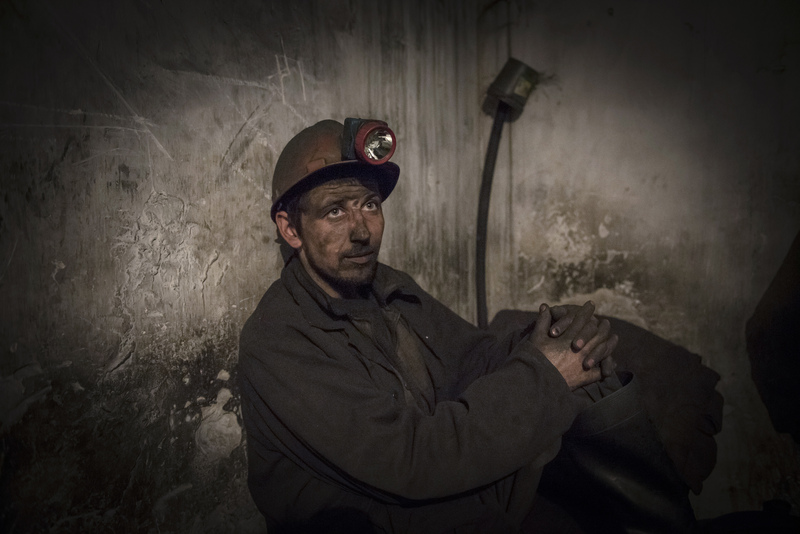 Despite this, a team of 4 workers can produce up to 5 tons per day, immediately placed on the market. 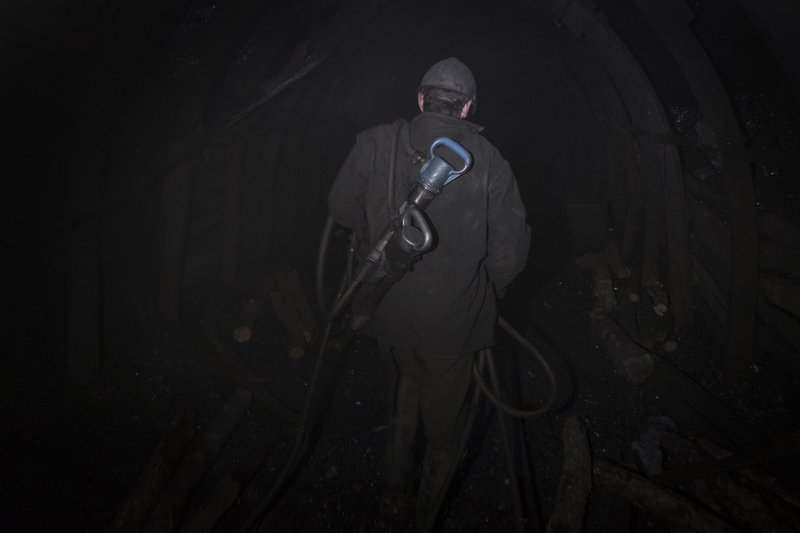 Working condition are inhuman: workers extract coal laying down on their back for the majority of the time surrounded by the deafening noise of sledgehammers and with extremely limited visibility conditions due to the dust and scarcity of light. 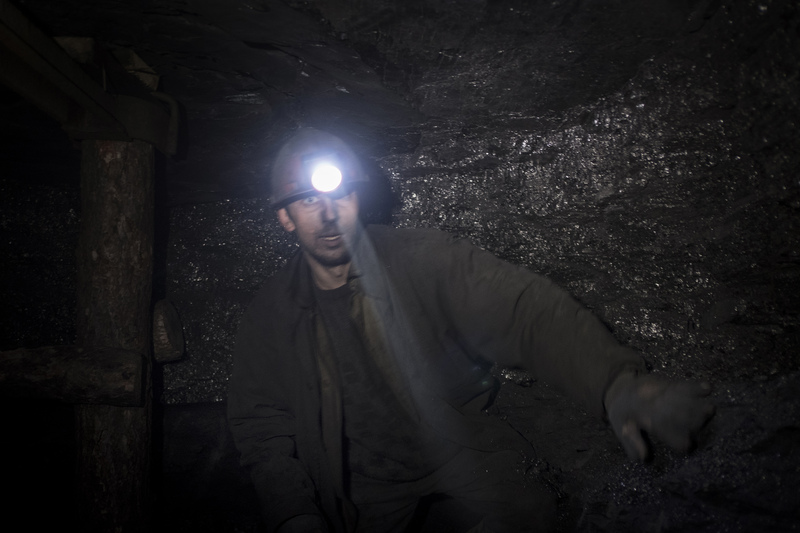 Accidents are extremely frequent despite the fact that no official statistics are available; in the same fashion no documentation is available assessing the impact of these working conditions on the incidence of diseases and death of miners, well above national average. 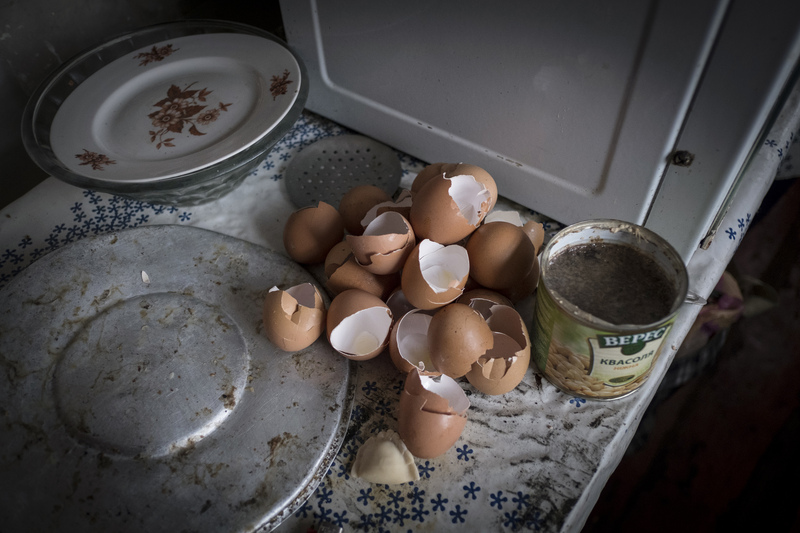 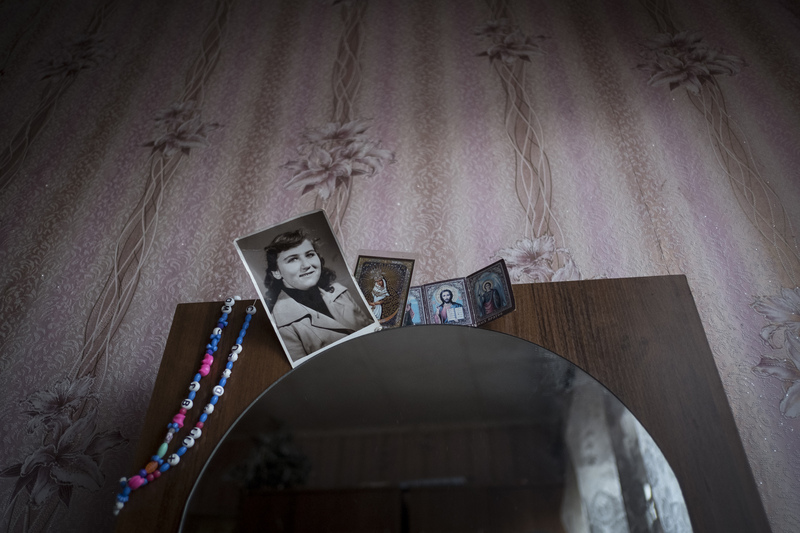 Despite this, the kopankas remain the only source of income left for thousands of families. 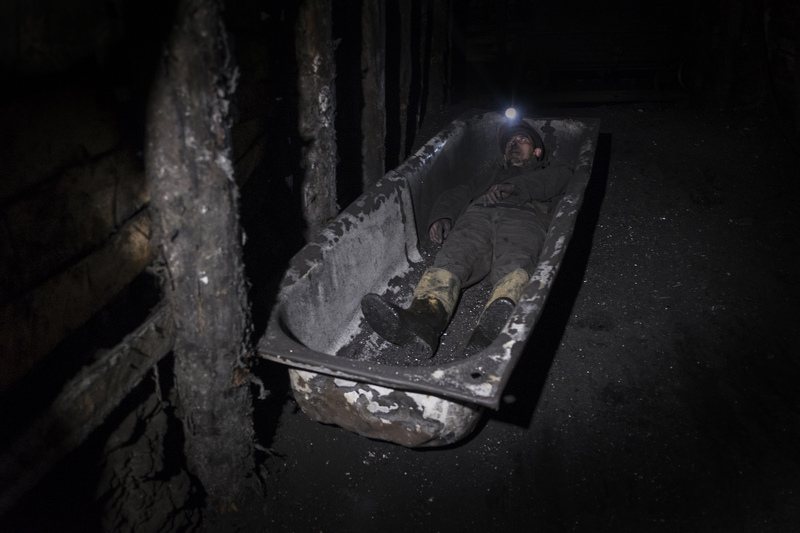 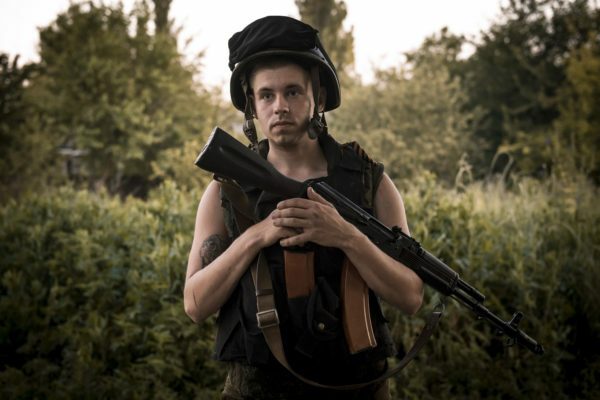 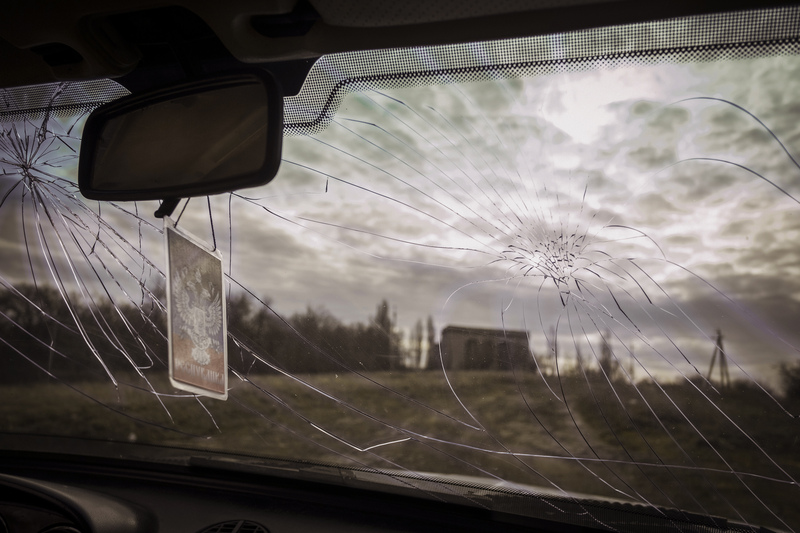 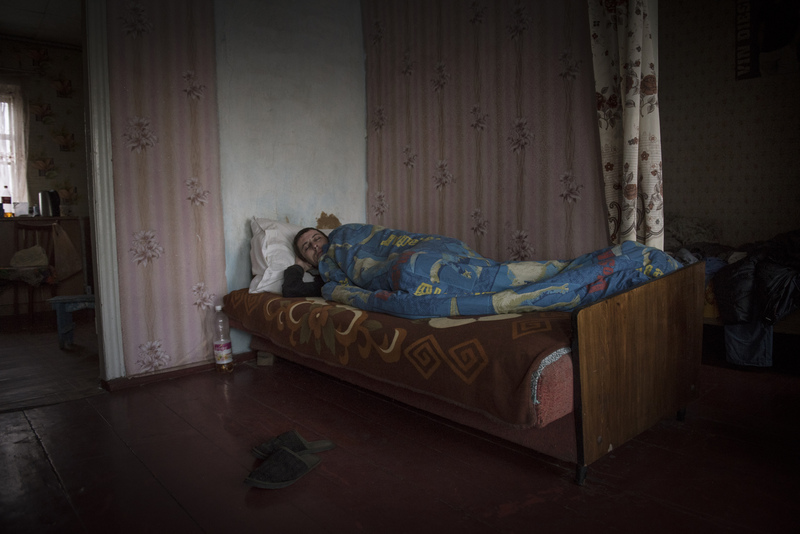 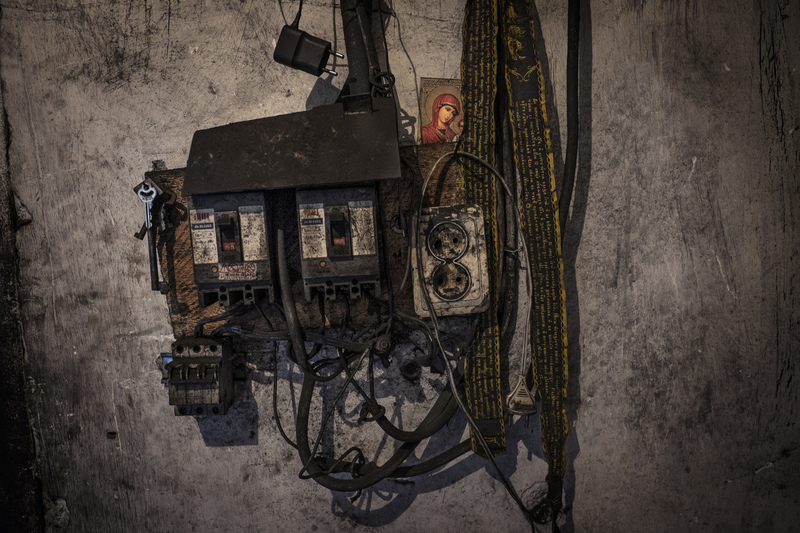 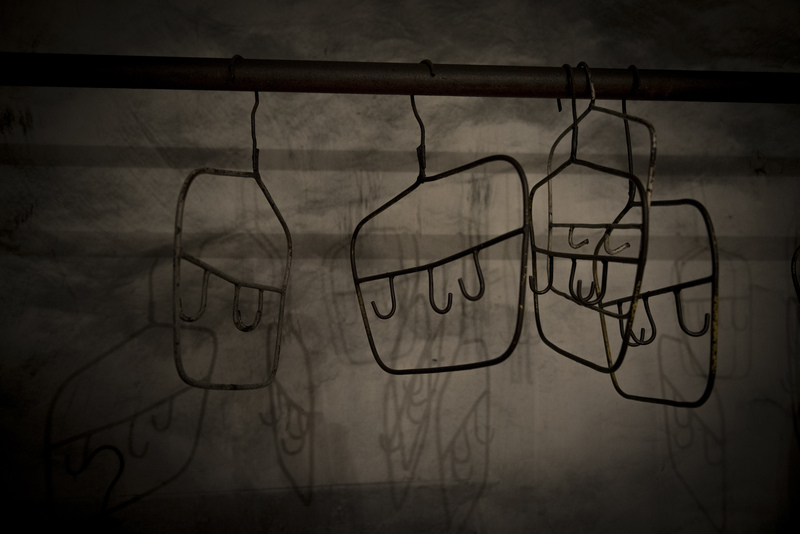 Evgeny is a 29 years old miner working in one of the dozens of illegal mines situated in the village of Torez. 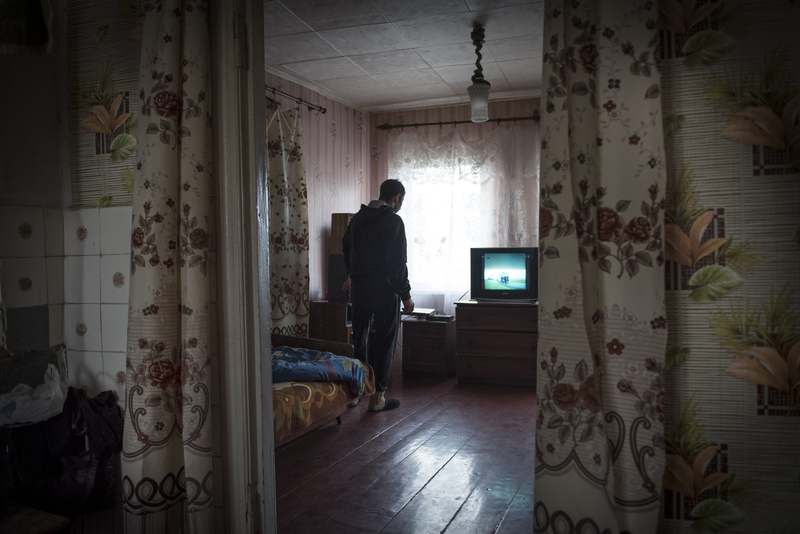 He lost his father and his mother emigrated in Ukraine after the start of the civil war. 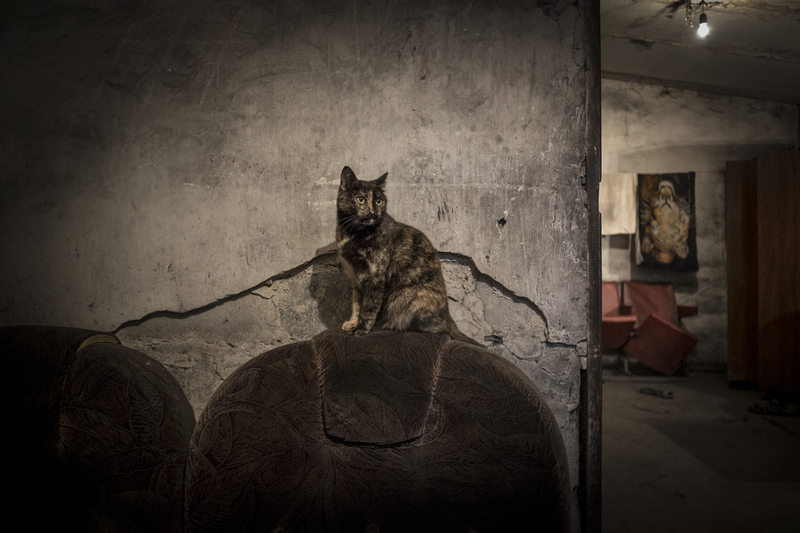 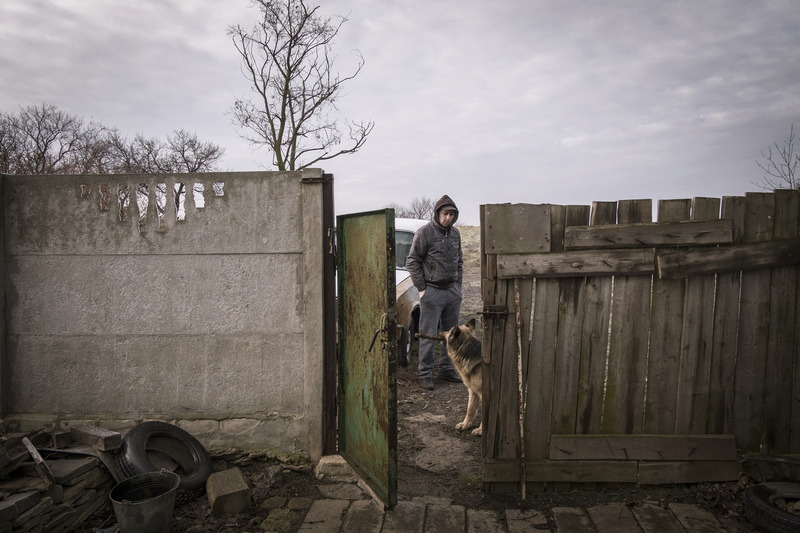 He lives in a small house without heating and without bathrooms, his only company being his dog Bela and a cat. 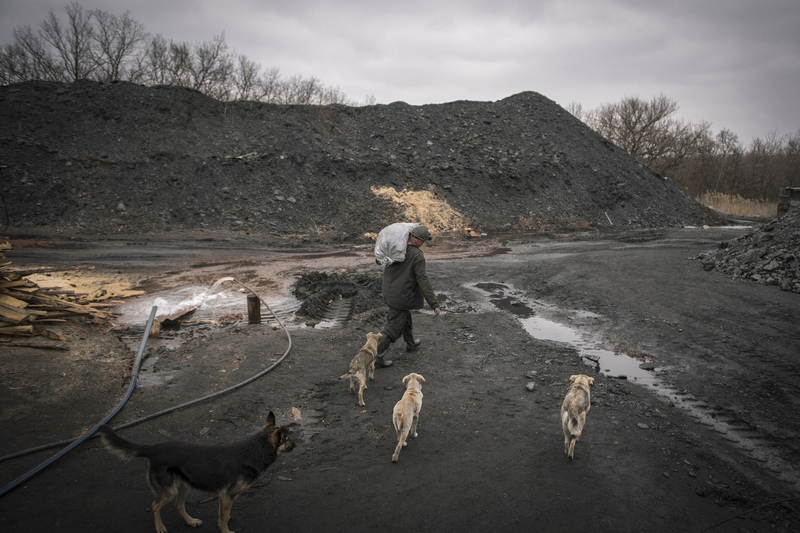 As often happens among miners, Evgeny is suffering from alcohol addiction dividing his days between long hours in the mine and long walks with his dog. 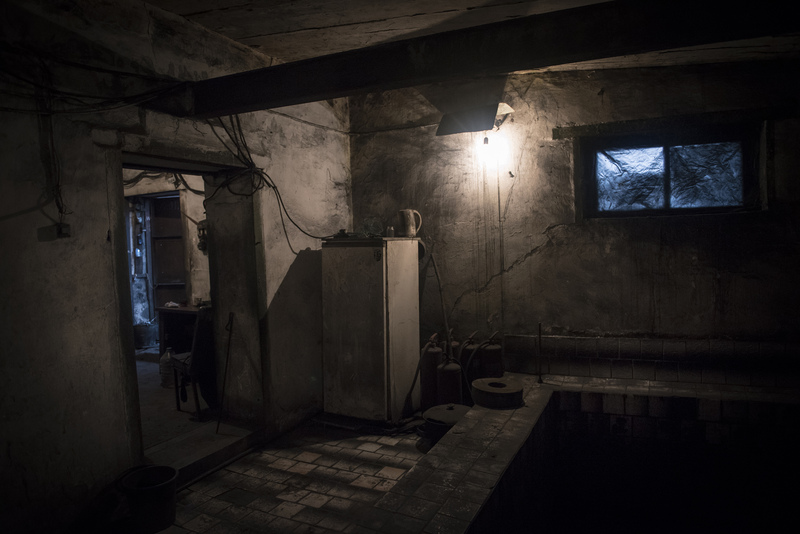 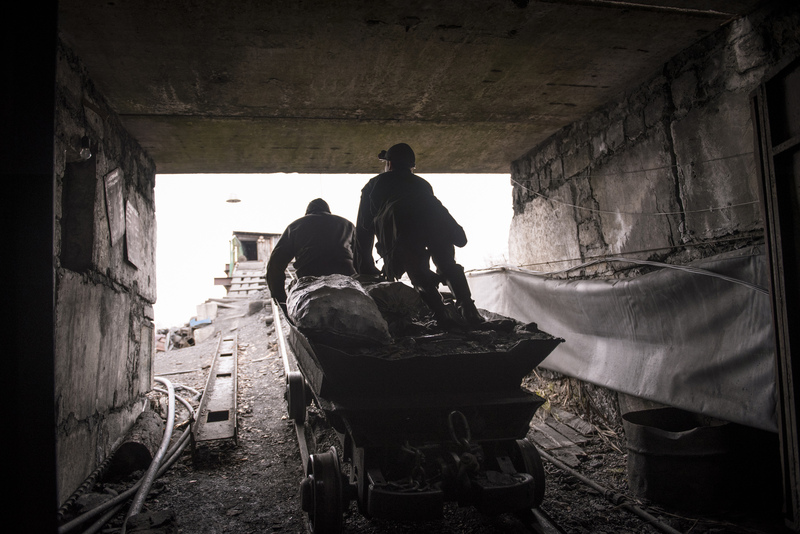 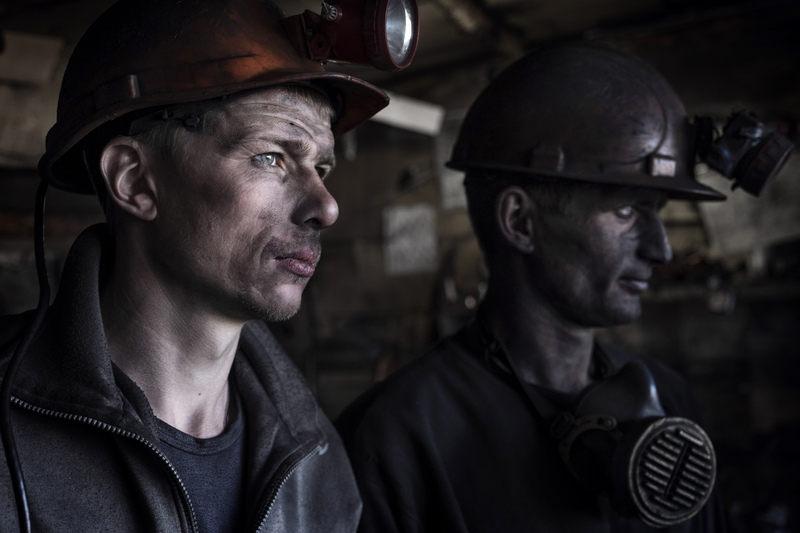 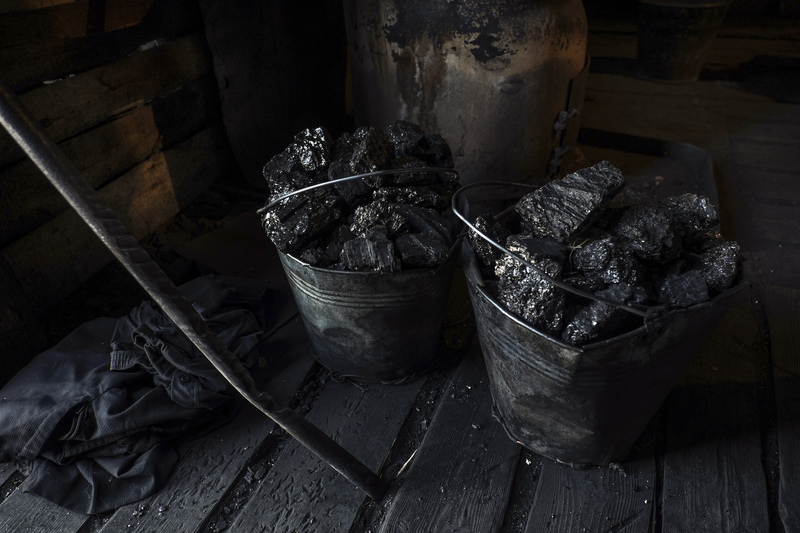 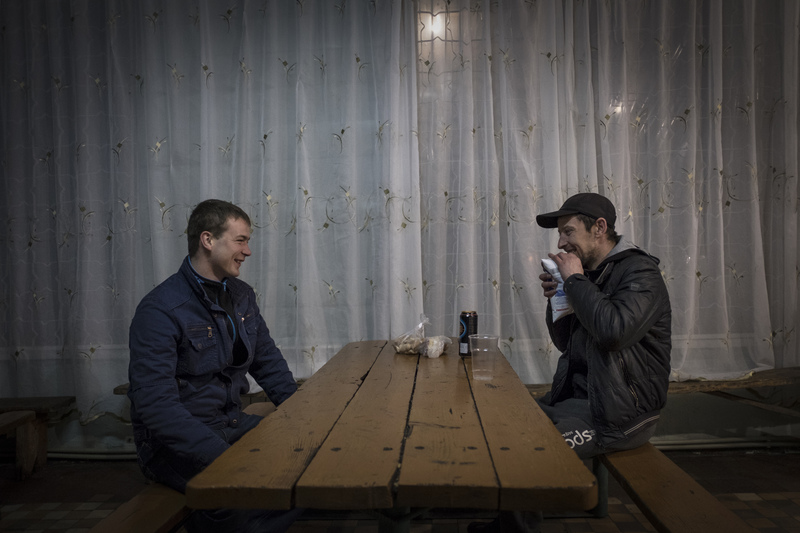 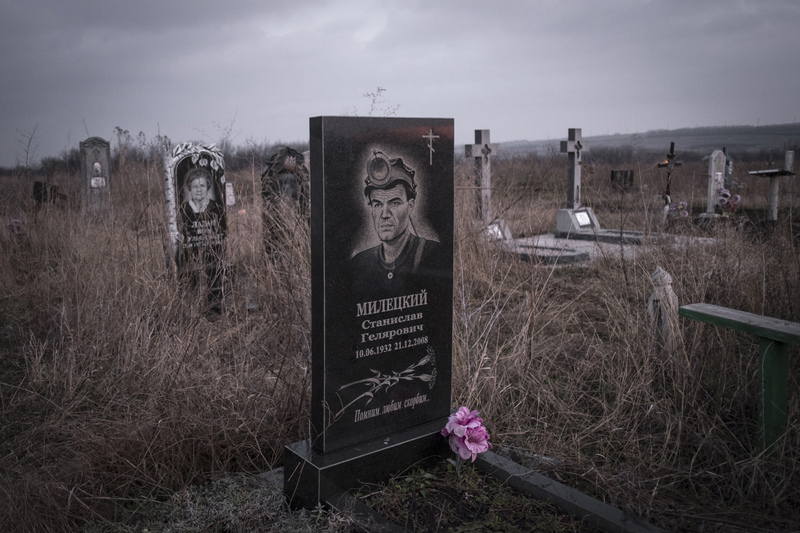 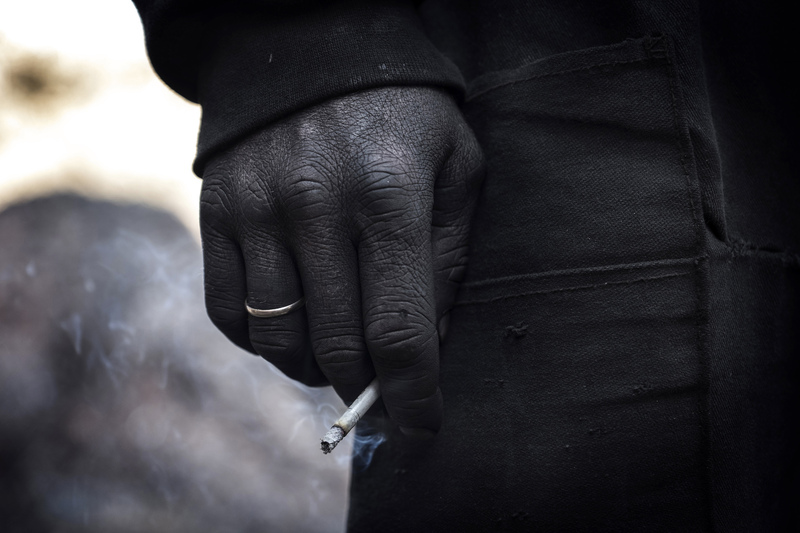 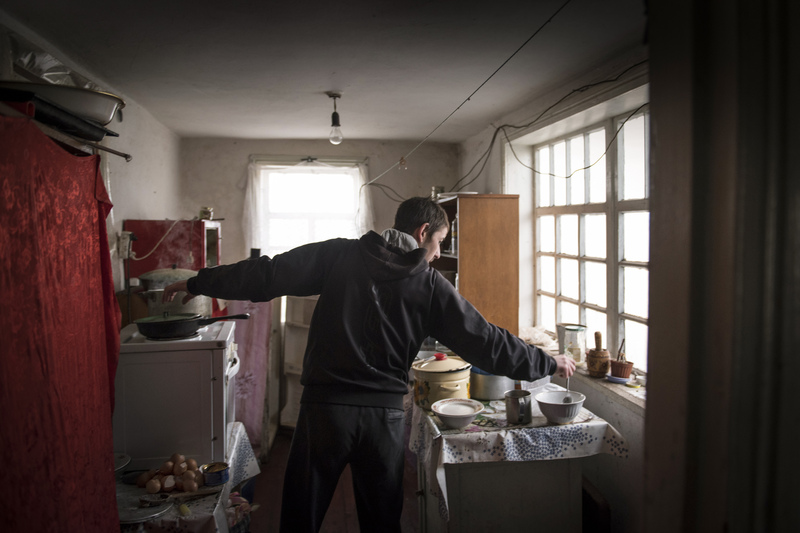 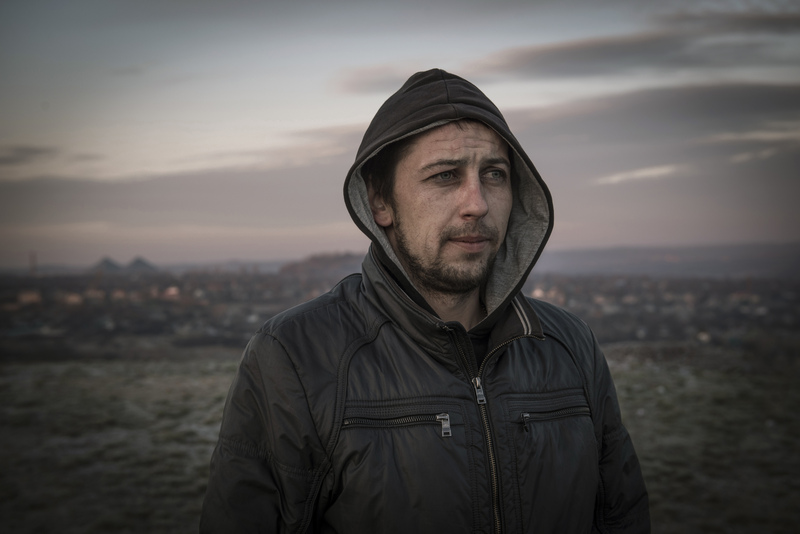 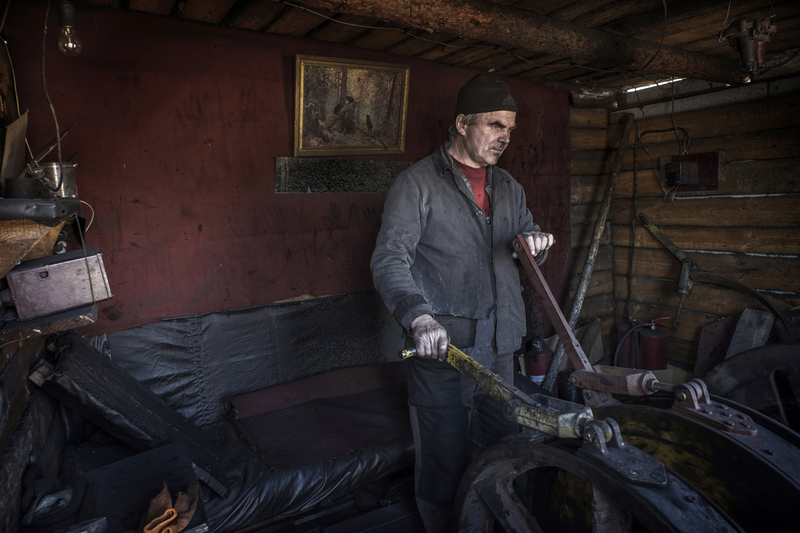 A miner since the age of 19, Evgeny suffers from kidney stones as well as many respiratory illnesses caused by the daily inhalation of coal dust. 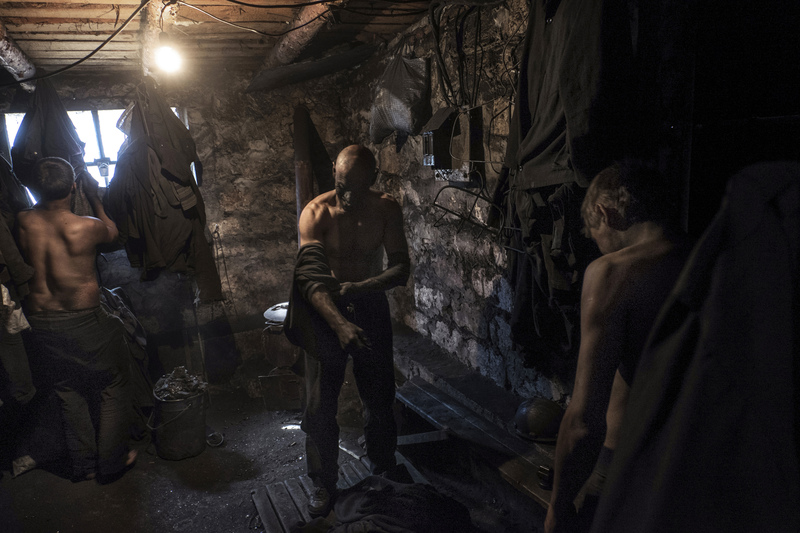 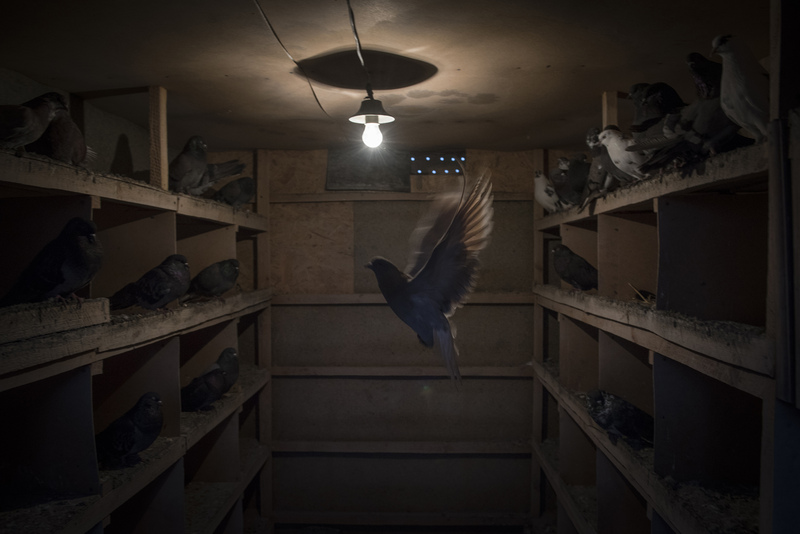 By telling his story I tried to document his daily routine, made day after day by the harsh working conditions, the loneliness but also the strong determination to keep going (Text by Giorgio Bianchi).